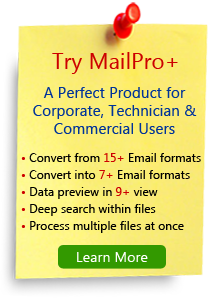 Convert MBOX Mails to Lotus Notes NSF with emails & attachments accurately. The Software is user friendly and executes the proccess in simple steps by taking less time in importing MBOX to NSF mails. Export all .mbox/.mbx/.mbs files (created by any email-client) into NSF file. Export all MBOX emails with attachments into Lotus Notes NSF file. Tool also exports MBOX files into other file formats (PST/MSG/EML). Preview of all emails and attachments in multiple views (hex, mime etc). Creates single nsf file for multiple mbox files as well as individual nsf file for each mbox file. Export option for individual & multiple folders. Install the tool after download in your system and proceed with the below mentioned steps for the working procedure of MBOX to NSF Conversion. Run the tool and Add the MBOX file from the location in your system by Clicking on "Add" option manually. Add option will open the window having default "MBOX Files" option selected, click Next to select the location of MBOX file. Other option is to Select the email client from the list which is installed in your system so that the tool can auto detect the default location of the stored MBOX files in your system. After loading the MBOX files, users can view the emails & attachments with multiple views showing different information. You can stop the loading process if the size of the file or folder is too large which takes time to load. Just click on Stop button. Select "All Folders" or "Selected Folders" as per requirement & chose the NSF option to export them into nsf file format. Click on Export option after giving the location to save the converted file. The below screen shows that your export process is done successfully. An Export Report is generated along with showing the "Open Location" option. Is the Software Supports Batch MBOX to NSF Conversion? Yes, the tool is able to perfom conversion of Batch MBOX emails into NSF format. Which version of IBM/lotus Notes does the software supports? The software supports 6.5/8.0/8.5/9.0/9.01 versions of Lotus Notes . What are the Pre-Requisite for the software application? Any Version 6.5/8.0/8.5/9.0/9.01 of Lotus Notes should be installed for the software application and it should be configured with a dummy or valid account. What are the System Requirements for the Software application? Windows support: 8.1 & below versions. I was looking for a tool to convert my Thunderbird MBOX mails & attachments to Lotus Notes NSF file. And with the help of MBOX to NSF utility I have done the conversion in bulk with complete data accuracy. Thanks to the entire team for developing and offering such helpful solution. I had many mails mostly with attachments in the MBOX format and was searching a tool which could do the conversion into Lotus Notes compatible NSF format. 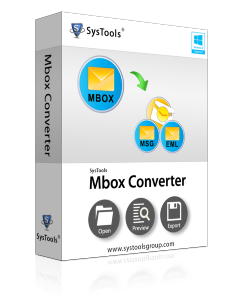 MBOX to NSF converter helped me by which I have easy access to my mailbox in Lotus Notes. Kudos! To the development for making this beneficial product. I needed a tool which could save my MBOX mailbox to NSF file format with customization for saving the converted data name. I liked the "Naming Options" feature for the saved file of MBOX to NSF Converter. Thanks for making this product, keep adding these type of features in future. I am working with a data forensics company and I needed a MBOX to NSF Converter tool which can support me not only in conversion but also in analyzing in-depth view of the converted files. And the "Multiple Views" options of the tool satisfied me thoroughly. I am very thankful to the Creative team for making this product.